The rise of East Asia from the ashes of World War II in the late twentieth century has led to searching questions about the role the region will play in the world. The possibility that China will overtake the United States as a super power suggests the twenty-first century could become an Asian century. 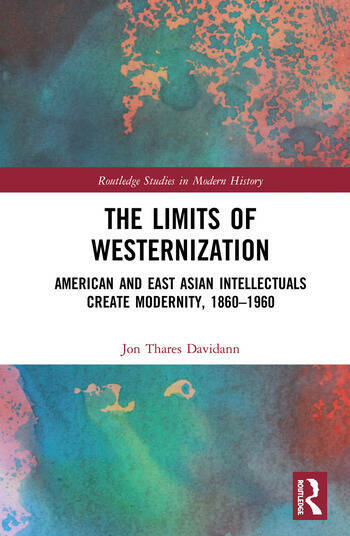 Given the dynamism of a new Asia, this study provides a crucial analysis of the origins and development of modern thought in East Asia and the United States, reevaluating the influence of the United States on East Asia in the twentieth century and giving greater voice to East Asians in the growth of their own ideas of modernity. While an abundance of scholarship exists on postwar modernization, there is a gap in the prewar origins and development of modern ideas in the late nineteenth and early twentieth century. In that time, influential intellectuals on both sides of the Pacific shaped modernity by rejecting the old order, and embracing progress, the new domain of science, democracy, racial relativism, internationalism, and civic duty. Jon Thares Davidann is Professor of History, Hawai’i Pacific University.